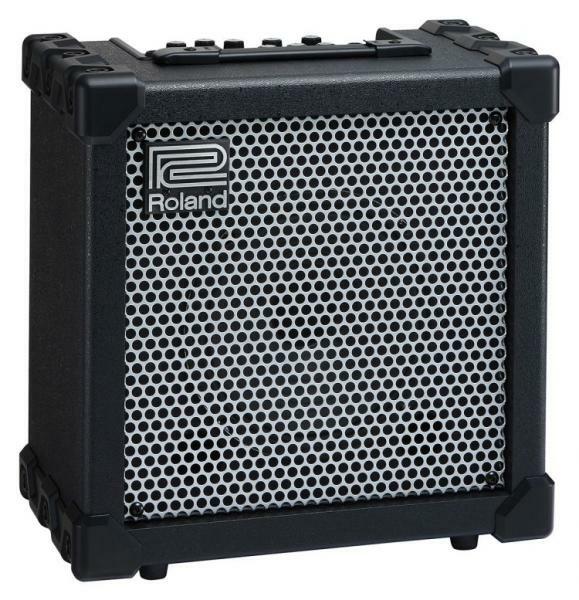 Cube-20XL , Modelling Combo Guitar Amp from Roland in the Cube series. joonbug's review"Wish we could do 0.5 star increments..."
Cons: Some of the dirty sounds (OD, Heavy Metal, distortion, etc.) sometimes sounds a little sanitary/computery (don't know the right word to use here), Clean sounds get distorted past 5 or 6 on the volume knob. 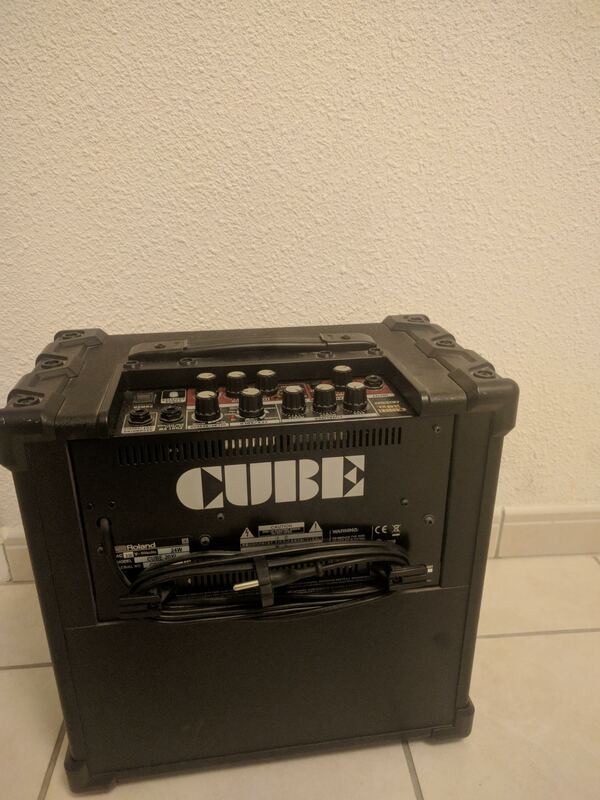 This is the amp I originally wanted to buy, living in South Korea, this amp wasn't available so the salesman directed me to a Marshall MG15CFR (I later discovered talking to him further, he was just a Roland hater), I was happy with the crunch sound but the clean channel with my guitar (Ibanez GRG170DX)got distorted at high volume and the Reverb left a lot to be desired, I apologize it's not a Marshall review, it's the Cube 20XL review. The clean sound (based on the Roland JC series amp), I immediately loved it (although I can only put volume at 3 or 4), when the neighbors went out I put the amp at 7, 8 & 10 to see if the clean channel would distort with my guitar. It distorts, I believe it's because of 8 inch speakers instead of 12" speakers on cabinets. For me an amp's clean channel sound should be just as good as the crunch channel. I also loved the Acoustic guitar (COSM) switch, the distortion sounds (Metal, Metal Stack) sounded a little sanitary, cleanly distorted??? Since I'm using this for Rock/Pop Rock or clean sounds, I don't really need these channels. I also have to give the acoustic COSM on this amp props, don't have an acoustic yet so it's cool. Also regardless of channel, going past 4 will make the neighbors complain, thanks to the power squeezer that will give you the sound at less amperage. What I really love is the built in effects, on the Marshall MG15CFR if I turn the Reverb knob past "4" it seems nothing happens to the sound whereas with this amp any change in the dial you will hear the difference. I use the Chorus & the Reverb both at the lowest settings on the knob (when using clean sounds or it kind of defeats the purpose of the clean channel. Still fooling around with it for the Crunch channels. 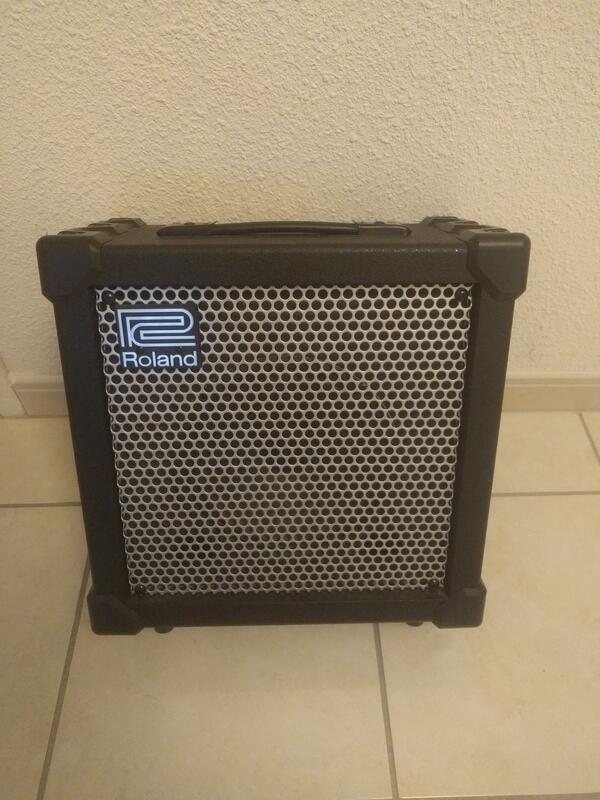 It's lightweight, packs a lot of volume punch, definitely one of the best dollar for dollar value for amps under the $200 class!!! Between the Peavey Vypyr and the Roland Cube series these are my favorite amp modeler amps on the market. As far as clean tones from a solid state amp modeling amp there isn't another contented with the Cube series. 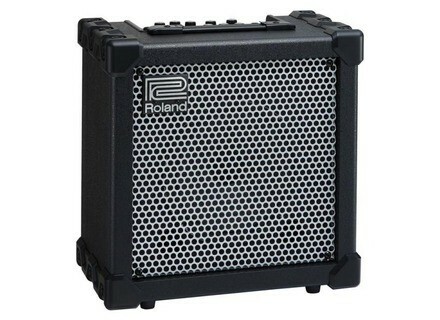 With there JC clean tone modeled after the highly sought after Roland Jazz Chorus this amp is great. Then with the ability to go direct into a mixer or recording device this amp pacts quite a punch. The clean tone from this amp is worth the price alone. If you need a solid clean for recording then I would pick this up for that reason alone. But the amp doesn't stop there. It has 6 more distortion and acoustic sounds to go along with it. I personally love the tone from the Extreme model. It is very heavy and metal based with a screamer midrange for solid lead lines. The flanger is another well built sound too. Stick this in with a nice lead tone and you get some great metal or 80's tones. Couple it with a mild chorus and your get a solid beefy 80's rock tone. This is one of the best if not the best amp modeling amps out in the market. At new these amps come in at around $160 which is an amazing price for what this amp can do. The distortion tone is amazing and the clean tone is just flat out amazing. I will be using the clean tone on my next recording for sure. The ability to go direct into a mixer is just easy and simple. 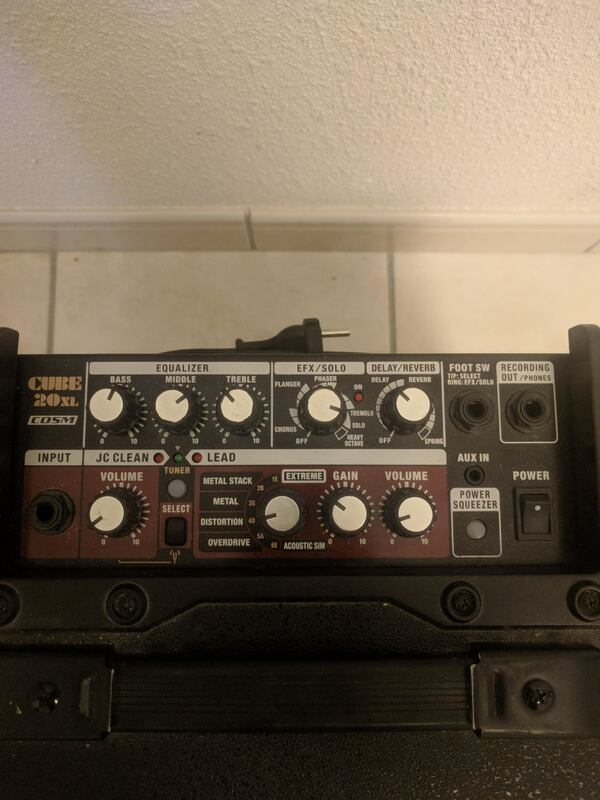 I highly recommend this to anyone who is on a budget and needs a solid recording amp or practicing amp. It goes silent too with the headphone hookup. Just great!